The Dev channel has been updated to 67.0.3396.26 (Platform version: 10575.22.0) for most Chrome OS devices. This build contains a number of bug fixes, security updates and feature enhancements. A list of changes can be found here. This entry was posted in Google Chrome Releases and tagged Chrome OS, Dev updates, Google Chrome on April 30, 2018 by Cindy Bayless. Love a local spot? Make it known this National Small Business Week—post a review or photo to their Google listing, or thank them on social media with the hashtag #SmallThanks. A small shout-out can mean a lot for a local business. One of my latest favorites is ABLE, a hip boutique in Nashville, TN that sells bags, shoes and jewelry handcrafted by women who have often overcome extraordinary circumstances to become entrepreneurs. I just gave ABLE a Small Thanks review on their Google listing for all they do (and for the cute earrings I just bought from them!). 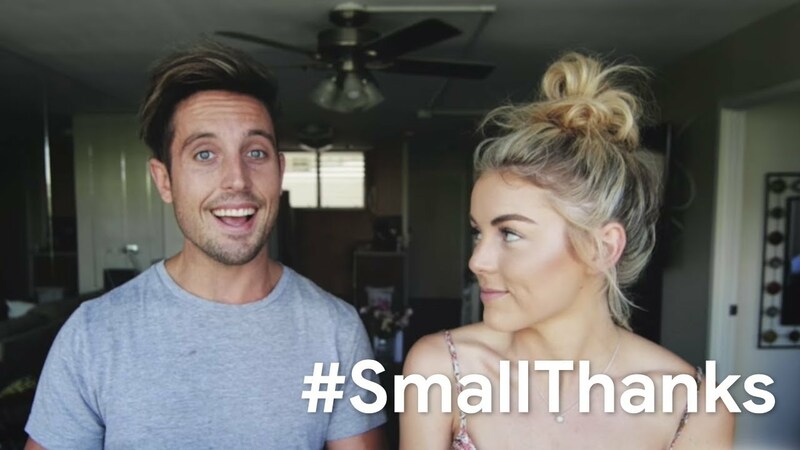 During National Small Business Week, YouTube creators across the country are also sharing the places they love—from skate shops to bookmobiles and everything in between. If you own a small business, check out the #SmallThanks Hub for free, customized marketing materials to turn your reviews into ready-to-use social posts, stickers, posters, and more. Reviews from your fans are like “digital thank you notes” and are one of the first things people notice about your business online, so start sharing your customers’ love with #SmallThanks today. For more tips on how to connect with local customers online, tune into our National Small Business Week livestream workshop from 9:00-10:00 a.m. PT on Wednesday, May 2. Register or find a partner-hosted workshop near you at google.com/smallbusinessweek. You can also find additional resources in our Grow with Google hub. Happy National Small Business Week! Don’t forget to show your favorite local spot some love this week with a #SmallThanks—a small way to give them a big thank you. This entry was posted in Official Google Blog and tagged grow with google, small business on April 30, 2018 by Claire Mudd. 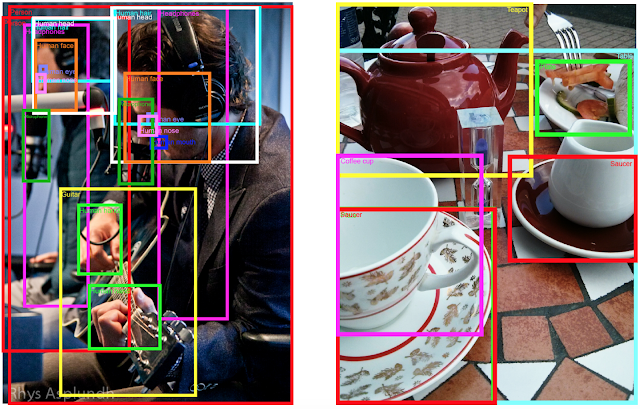 This entry was posted in Research Blog and tagged Computer Vision, CVPR, machine learning, Research on April 30, 2018 by Google Blogs. This entry was posted in Research Blog and tagged Computer Vision, CVPR, machine learning, Research on April 30, 2018 by Research Blog. As I’ve shared in the past, Google Cloud’s vision for the healthcare industry is very much a reflection of Google’s overall mission. We’re building healthcare-specific products and solutions as well as supporting a growing partner ecosystem to help companies organize healthcare data in a way that is accessible and interoperable, but also secure, enabling them to create a positive and lasting impact on human health. Today we’re announcing a new collaboration with Fitbit across wearables and digital health that will help drive positive health outcomes at scale. Fitbit has chosen Google Cloud as their preferred cloud provider and will be using our Cloud Healthcare API to provide an interoperability solution that enables their users to collaborate on care with their own healthcare providers. For example, using Cloud Healthcare API with Fitbit’s newly acquired Twine Health platform. The two companies will also be exploring how Google Cloud’s machine learning APIs can help them uncover deeper insights to benefit their users. Although we’re just getting started in this collaboration, we’re excited by what’s possible. To date, Fitbit has sold more than 76 million devices, built a community of more than 25 million active users and has one of the world’s largest health and fitness databases. We hope that by helping them take advantage of our highly secure platform and support for open standards, we can bring better health to more people around the world. This entry was posted in Google for Work Blog and tagged google cloud on April 30, 2018 by Gregory J. Moore MD, PhD. "NVIDIA GPUs work great for complex Optical Character Recognition tasks on poor quality data sets. We use V100 and P100 GPUs on Google Compute Engine to convert millions of handwritten documents, survey drawings, and engineering drawings into machine-readable data. The ability to deploy thousands of Preemptible GPU instances in seconds was vastly superior to the capacity and cost of our previous GPU cloud provider." "V100 GPUs are great for running V-Ray Cloud rendering services. Among all possible hardware configurations that we've tested, V100 ranked #1 on our benchmarking platform. Thanks to V100 GPUs we can use cloud GPUs on-demand on Compute Engine to render our clients' jobs extremely fast." This entry was posted in Google Cloud Platform Blog and tagged Announcements, Compute, Containers & Kubernetes, Google Cloud Platform, Partners on April 30, 2018 by GCP Team. Exams are an integral part of an Indian student's academic journey and have a profound impact on their lives. Over 260 million students in India spend countless hours preparing for exams and eagerly await the moment that results are announced. They turn to the internet for all their exam needs, but often this information is hard to locate, and slow to load. To improve the exam experience for students, Google today is announcing two new features to make finding exam information easier and more reliable. Starting today with the JEE Main exam results, we are launching a feature on Google Search to help students quickly, securely, and seamlessly locate their exam score on their smartphone or desktop. The Central Board of Secondary Education (CBSE) has worked directly with Google to make the JEE Main exam results available on the Google Search results page as soon as they are announced. “At CBSE, we are always looking for ways to enhance facilities to millions of our students across the globe. We are collaborating with Google for smooth dissemination of results through an easy and secure platform,” said Rama Sharma, Senior Public Relations Officer, CBSE. When a student searches for "JEE Main results" they will be able to directly look up their scores within Google Search. They simply have to enter their roll number and date of birth, and their individual results will be displayed. Google has worked closely with CBSE to ensure that the data is handled securely and used solely for the purpose of showing the results on Google, and only for the duration that this feature is live. We’re also making it easier for students to get ready for tests with an improved Search experience for popular Indian exams. Now when you search for an exam like GATE, SSC CGL, CAT, and many more, you will see important information such as test dates right within Search. You’ll also be able to easily find links to register, view other important links, and visit the official test site. Our vision has always been to organize the world’s information and make it universally accessible and useful to everyone. With over 260 million students enrolled in more than 1.5 million schools across India, we believe having reliable, seamless, and secure access to education-related information is crucial. That’s why today’s updates are just the first step of many to improve access to information about important exams and other exam-related content in Google Search in India, and to work with government-approved educational institutions to provide reliable and secure access to exam information for the benefit of even more students. This entry was posted in Google India Blog and tagged India on April 30, 2018 by A Googler. This entry was posted in YouTube Blog, YouTube Blogs and tagged YouTube, YouTube TV on April 30, 2018 by John G. Doe. This entry was posted in Inside AdWords and tagged AdWords on April 30, 2018 by Inside AdWords Blog Owner.